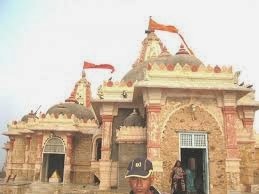 Here is Some information about koteshwar Temple in Lakhpt kautch Gujarat india. 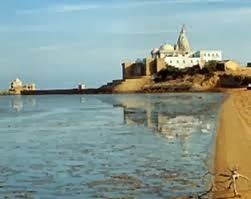 The Temple of Koteshwar Mahadev is situated amongst the desert of Kutch. The temple is constructed from white bricks and is having the height of around 80 feet and is spread in around 2 square kilometers area. This temple was constructed before around 1200 years. The famous Chinese traveler Hue an Sang have also mentioned about the existence of this temple in his notebook, written around the year 910. The Lord Shiva Lingam, placed here at the temple is black in color and elliptical shape, having the height of around two feet. 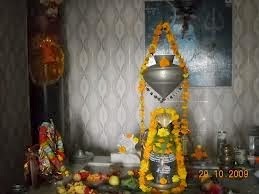 The continuous abhishek of water from the near by River Sarswati is done on this Lord Shiva lingam. The pilgrims prefer to attend morning and evening artis at Koteshwar Mahadev temple. There is a beautiful garden all around this holy and ancient temple. All the visitors love to sit and relax in this beautiful garden and can have their family picnic lunch at the temple. 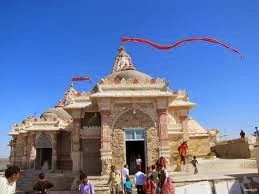 After traveling over the expanse of desert in western Kutch, you find the Koteshwar Mahadev Temple, at a place where the immensity of dry land meets the incomprehensible vastness of the sea. After so much arid ground, the sight of the ocean will awaken your spirits; though the sea is even less hospitable to humans, a sobering thought. The only point that breaks the skyline from the flat brown horizon to the east and the wide blue horizon to the west is the point of the Koteshwar Mahadev Temple, the last outpost of human construction at the westernmost limit of India. This is a great religious power shivlingas.It is a gift to Lord Shiva who gifted him with Ling which he won as worship and may become immortal. However, tenderness in the lingas, which fell to the ground at the touch of a Thousand Lingas, changed. King Ravana did not accept the original lingas, and so please be lost. Ten thousand people, some versions of the original kucthhi several million calls. There are a thousand or a million lingas in heaven instead of the king Ravana therefore decided to build this temple and this temple also known as “Kotilingeshwar”. 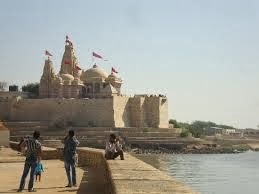 By Road:From Bhuj, 125 km away, buses go to Narayan Sarovar twice a day (morning and evening). However, that is the only public transportation available. 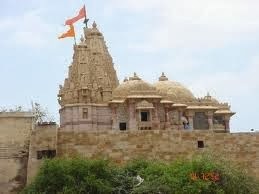 Koteshwar Temple is a mere 2 km from Narayan Sarovar, on the coast, but visitors to Lakhpat (28 km further) or Narayan Sarovar Wildlife Sanctuary (15 km) will need a private vehicle; this can only be hired in Bhuj. Prices for hired cars range from Rs. 5.50/- per km to Rs. 10/- per km depending on the type of vehicle and whether or not it has AC. By Rail:The Nearest railway station is Bhuj.